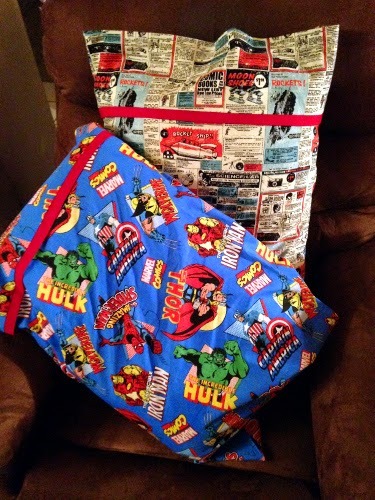 In case it wasn’t obvious, I made these for a big comic book fan – the Marvel print is from Hancock Fabrics, and the really fun old-school comic book advertisements was found at Michael Levine’s in Los Angeles. Used the same Crafty Gemini Youtube tutorial that I’ve used in the past, with continually awesome results. 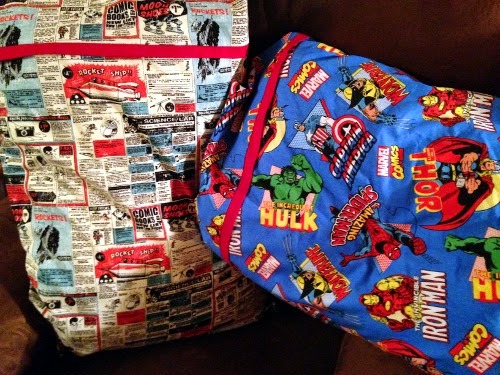 Those of you who spend too much time on the internet may have noticed one of these fabrics popping up in a really awesome bag project by a really awesome blogger who just finished making something else really awesome. 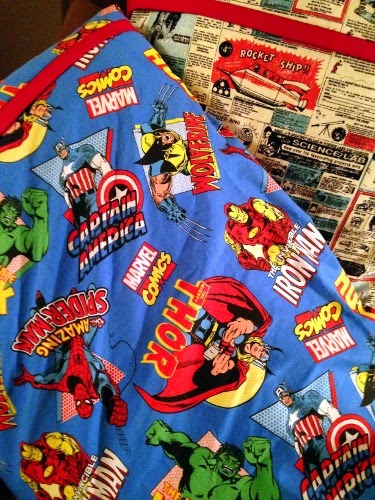 What can I say… great minds love the same fabrics? 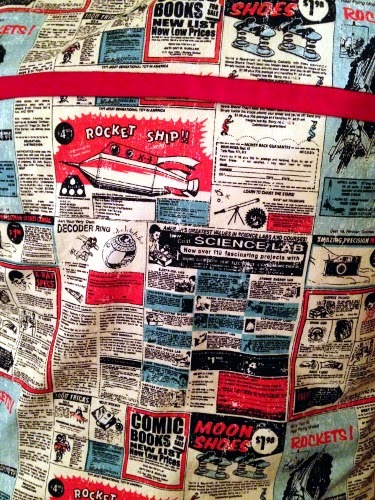 Newsflash: January 2015 Burda Preview Posted!